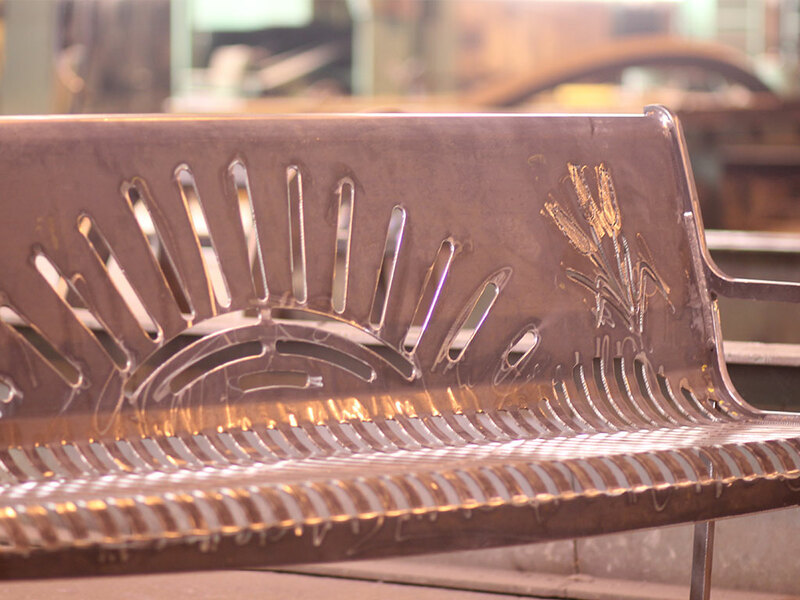 Give your city's bus stop or park a bench that is decorative and sturdy. We offer a variety of finishes to protect your investment in USA steel. Maico Industries manufactures memorial benches. Call us at 785-472-5390 with your design ideas. Would you like to have a custom bench? ​We will work with you designing a bench with your logo or name.